Cathie gets "out of the box" in this mixed media workshop. Using her talents and creativity, she has crafted a beautiful piece with paint and paper on a canvas of wood. The result is a piece of art with a lot of texture and visual interest. 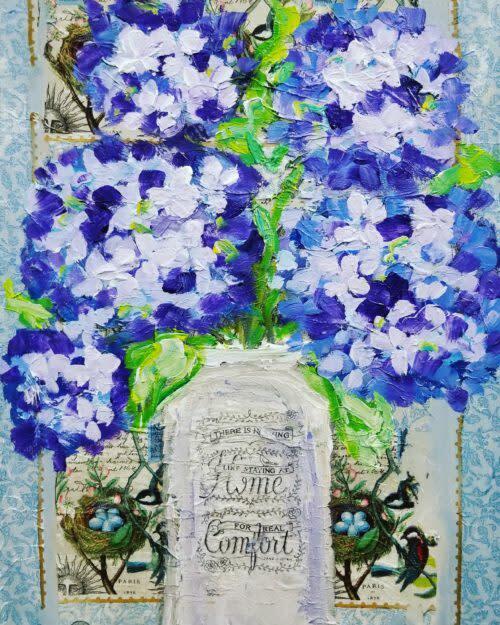 Cathie will give you simple instructions and work with you hands-on to create this beautiful piece of art. COST: $195 includes all art supplies to create an 18 x 24 piece.